The IS-pB1 is a compact, panel mount L.E.D. 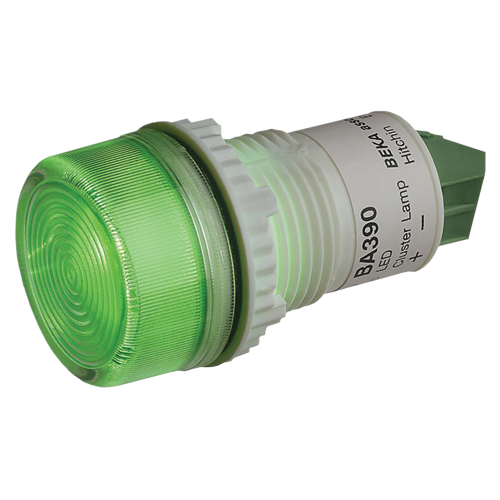 indicator providing reliable cost-effective visual status indication in all hazardous areas. Each IS-pB1 contains a group of high efficiency light emitting diodes mounted behind a coloured diffuser to produce a bright, uniform output with a typical life greater than ten years. All models contain a 20mA current regulator which maintains constant brilliance and provides protection against excess voltages.